With tens of thousands of Americans sickened by food poisoning each year, the Food and Drug Administration (FDA) is proposing new rules to increase safety in all areas of food production and distribution. 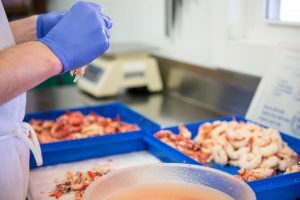 The FDA’s proposed rules are the next step in codifying the Food Safety Modernization Act, which Congress passed in 2010 and President Barack Obama signed into law on Jan. 4, 2011. The agency says its goal is to increase safety by shifting the focus to prevention over response. The first proposed rule would require manufacturers of processed foods to develop a plan for reducing contamination risk and maintain records for government audit. The second rule would attempt to prevent E. coli contamination of fruits and vegetables during harvest and production. President Obama has requested $220 million in his 2013 budget to implement the law. 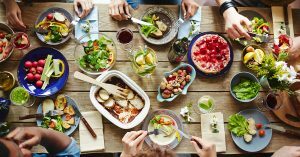 About 48 million Americans – or about one in six – get sick each year from food poisoning, while 128,000 are hospitalized and 3,000 die each year from foodborne diseases, according to the Centers for Disease Control and Prevention (CDC). Several cases of food contamination have led to recalls and sickened thousands of people resulting in hospitalizations and deaths. In 2011, the country saw the third deadliest food poisoning outbreak in U.S. history and the worst in nearly a century linked to whole cantaloupes from Jensen Farms of Colorado. A total of 33 people died from the Listeria poisoning, and another woman who was pregnant suffered a miscarriage. By mid-2012, the CDC determined that 147 people in 28 states had been infected with one of the five outbreak-associated sub-types of Listeria. Investigators later attributed the outbreak in part to two brothers who had inherited the farm, changed their packing procedures and substituted in some new equipment and removed an antimicrobial wash.
F.D.A. Offers Broad New Rules to Fight Food Contamination, The New York Times. The New FDA Food Safety Modernization Act (FSMA), Food and Drug Administration. Multistate Outbreak of Listeriosis Linked to Whole Cantaloupes from Jensen Farms, Colorado, Centers for Disease Control and Prevention. Food Poisoning, Breakstone, White & Gluck. A Minnesota company has recalled nearly 30,000 pounds of fresh ground beef products amid a seven-state Salmonella outbreak which has infected 33 consumers, including in Massachusetts. Cargill Meat Solutions recalled the 29,339 pounds of ground beef packaged at its Wyalusing, Pa. operation Sunday, saying the food products may be contaminated with Salmonella Enteritidis. Hannaford Supermarkets is alerting consumers that ground beef purchased from its stores may be contaminated. The Maine-based grocer has stores in Massachusetts, including in Marlborough, Quincy, Lowell and Saugus. 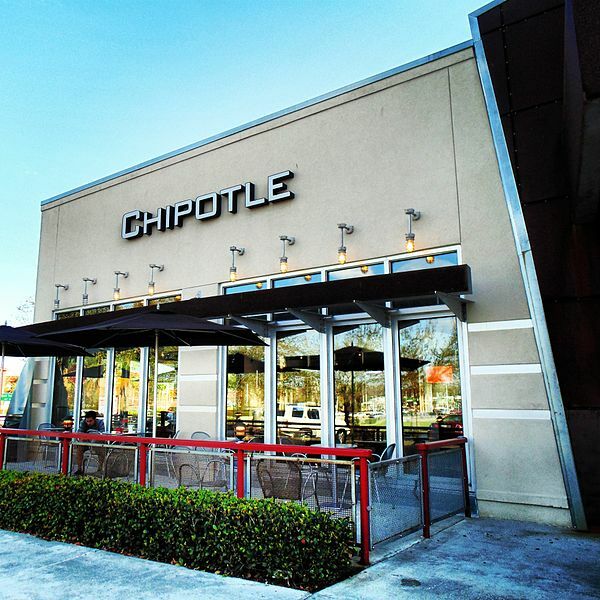 The contamination was uncovered during an investigation into the Salmonella outbreak, said the U.S. Department of Agriculture’s Food Safety and Inspection Service (FSIS). The 33 people with food poisoning came from Massachusetts, Maine, New Hampshire, New York, Rhode Island, Virginia and Vermont. Cargill packaged the meat for sale throughout the Northeast, but so far, Hannaford is the only store to alert its customers. Hannaford is asking customers to look out for 85-percent ground beef produced by Cargill’s. They have “use or sell-by” dates between May 29 and June 16. The Salmonella Enteritidis outbreak strain is drug sensitive, meaning it can be treated with antibiotics. 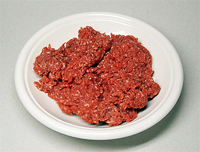 Click here for more information on the Cargill ground beef recall. Salmonella is one of the most common types of food poisoning and it has many different strains. There are an estimated 1.2 million cases annually in the U.S., according to the Centers for Disease Control and Prevention. There are approximately 400 fatal Salmonella poisonings each year. Salmonella is transmitted when food or beverages have been contaminated with feces from animals or humans. It can result when food is handled by someone who has not washed their hands or during processing of animal products, such as beef, poultry, milk or eggs. After food is contaminated, Salmonella will expand if not refrigerated. 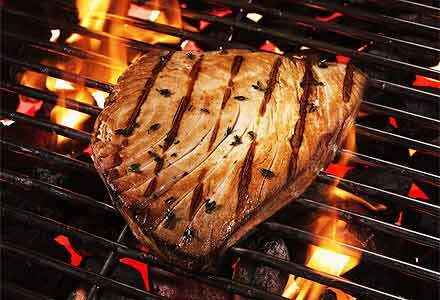 Fully cooking meat will kill any Salmonella contamination. You can prevent Salmonella food poisoning by refrigerating or freezing chicken, beef, poultry and eggs within two hours of purchasing. When handling food, wash your hands with warm, soapy water for at least 20 seconds. Use separate cutting boards for raw meat, fish and poultry and keep them separate from each other. Use a food thermometer to cook raw meat and poultry to safe temperatures for consuming, which is 160 degrees fahrenheit for beef and pork and 165 degrees for poultry. Salmonella, Centers for Disease Control and Prevention. Salmonella Serotype Enteritidis, Centers for Disease Control and Prevention. Cargill recalls more than 29,000 pounds of ground beef sold in Northeast over salmonella, CBS News. Media Advisory: Cargill Ground Beef Recall, Hannaford. Wash your hands thoroughly with soap and water before and after handling food. Washing hands afterward is just as important to prevent food poisoning. Make hand soap accessible indoors. Outdoors, keep hand sanitizer near your food. Encourage everyone cooking and eating to use it. Limit the amount of time food is left outside, especially mayonnaise-based salads. Marinate meats and other foods in the refrigerator, never on the counter. Never reuse sauce used to marinate raw meat, poultry or seafood. If you want to use the sauce in another way, set aside a separate portion before marinating. Use a food thermometer to make sure food is cooked thoroughly. Refer to the Safe Minimum Temperatures Chart for safe internal temperatures. Serve food at a safe temperature. Keep hot food at 140 degrees Fahrenheit or above until served. Serve cold food at 40 degrees Fahrenheit. Make sure to keep plenty of ice and coolers on hand. Maintain one cooler for beverages and one for raw meats, poultry and seafood. Keep a third cooler for cooked foods and raw fruits and vegetables. Tagged: "food poisoning", "foodborne illness" and "Massachusetts personal injury laywers"
Jonathan’s Sprouts of Rochester, MA, has widened the recall of its sprout products due to Salmonella contamination. The recall now includes all sell-by dates, including its conventional, organic, and bulk products. The recall includes other sprouts, such as radish, dill, and gourmet mix. Check below for stores where these products were sold. Do not eat them! Return them to the store for a refund. More information: FDA Recall Press Release. 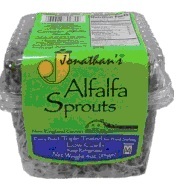 The USDA has found Salmonella, a dangerous bacteria related to food poisoning, in Jonathan’s Alfalfa Sprouts products. Salmonella, if ingested, can cause serious and sometimes fatal illness and infections in young children, frail or elderly people, and others with weakened immune systems. The symptoms of Salmonella include fever, diarrhea (possibly bloody), nausea, vomiting, and abdominal pain. Only these products with a sell-by date of 4/23/11 are affected by the recall. If you have purchased any of these defective products, you are urged to return them to the place of purchase for a full refund. The recall affects the following stores in Massachusetts: A&P, Grand Union, Stop & Shop, Shaws, Hannaford, Donnelans, Foodmaster, Truccis, and Roche Brothers.